Everland is a massive park, easily the largest in Korea, and the first of this trip where it really was a fifteen minute walk from one end of the park to the other. Being more accurate, it was a fifteen minute walk to the bottom of the hill and a ten minute chairlift ride back to the top; the terrain was way too steep for anybody to voluntarily walk back uphill more than once. This should not be construed as laziness by any stretch of the imagination; it was considerably harder work to wave and smile at the huge numbers of Koreans travelling in the other direction. Hello! Where are you from? And a new one today; David Beckham! Our day opened with the first and only exclusive ride session of the trip, four circuits on the magnificent Eagle Fortress (#1079). This is without question the best suspended coaster Arrow ever built, taking advantage of the hilly terrain of the park to provide a ridiculously intense high speed race down the side of the mountain. To be honest I've got great difficulty believing the posted maximum speed of 40mph; it felt much much faster; and that was in the morning! One of the last things I had time for before leaving the park was a fifth circuit, which was running a full nine seconds faster than it had been in the morning. There's only one word for it. Wow! 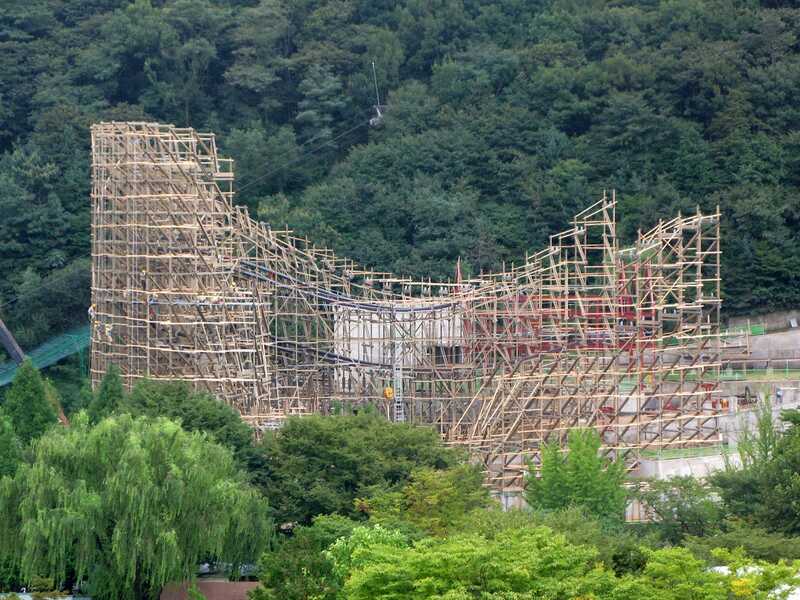 The park was good enough to bring us over to the construction site for the new wooden coaster they're building for next year, which will be the first in Korea. The various numbered pieces of prefabricated wood made me think of flat pack furniture on a massive scale. I can just imagine the instruction manual; take pieces seven hundred and twenty nine and three hundred and forty seven, then find bolt four thousand eight hundred and ninety six, and ... It strikes me that typical IKEA-style pictorial instructions might fall down on a project of this scale. As this report is written I've mostly recovered from the concussion introduced by Rolling X-Train (#1080). This elderly Arrow coaster has been refitted with new Vekoma trains. If they are an improvement I can only imagine what the original ones were like. Jeff remarked later that they asked him his age when boarding, and that he should have told them the truth! Some coasters out this part of the world have age restrictions, which seems a bit arbitrary; surely if someone is healthy enough to ride in their sixties then they should be allowed to do so? The last coaster in the park was Herky & Timmy's Racing Coaster (#1081), a rather nice family coaster with a tire drive lift. Though it was engineered by a European rather than Asian firm (Vekoma) the seats were nevertheless too small for two adults in one car. We tried; we failed. It was a similar story on the powered Dragon Coaster. We tried a total of three other rides in the park; the Rotating House haunted swing (mediocre), the Columbus Adventure oversized pirate ship (hilarious for people watching), and Global Village (a small world clone with even more irritating music and a totally arbitrary space scene towards the end). It's probably just as well that the park doesn't sell CDs of park music, as if this song got out into the world it might cause civil disobedience on a massive scale. It would have been nice to get a copy of the Everland song though; it is without question the stuff that ring tones are made of. If anyone in the park is reading this, please do get in touch! 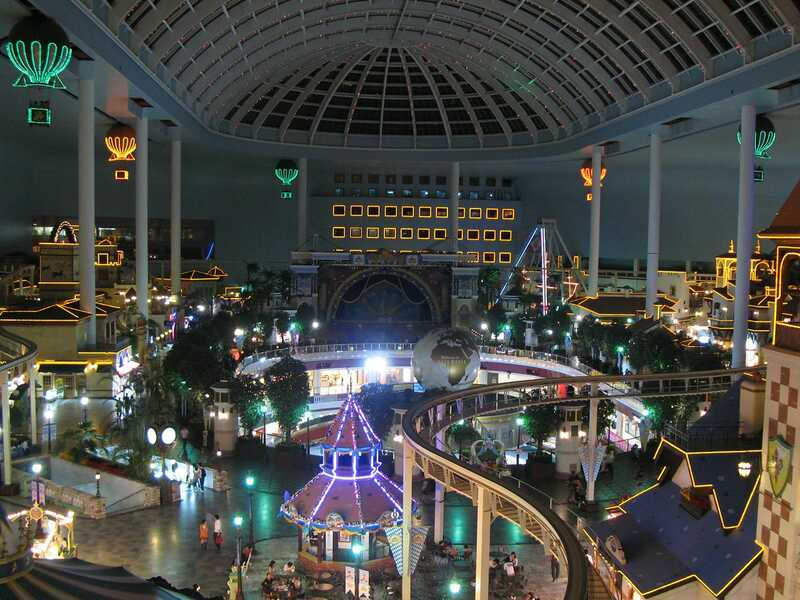 As promised on Tuesday, we made a semi-planned return trip to Lotte World today in order for most of us to ride Atlantis Adventure (#1082). The operative phrase here was most of us; unfortunately this ride has recently been given a very unfortunate height limit of 187cm, or just under 6'2. This is my exact height, so I was okay, but several other members of the group were not. The reason for the limit became obvious on riding. There are some very low clearances within the ride, and even with my height chances are that I'd have hit something had my hands been in the air. The layout and theming of the coaster is both a blessing and a curse. The visual effects are excellent, but the aforementioned low clearances are a serious drawback. Furthermore, the seating is too cramped for anyone bigger than about 5'9" to be comfortable, and this is simply inexcusable for a ride built by a Swiss company. 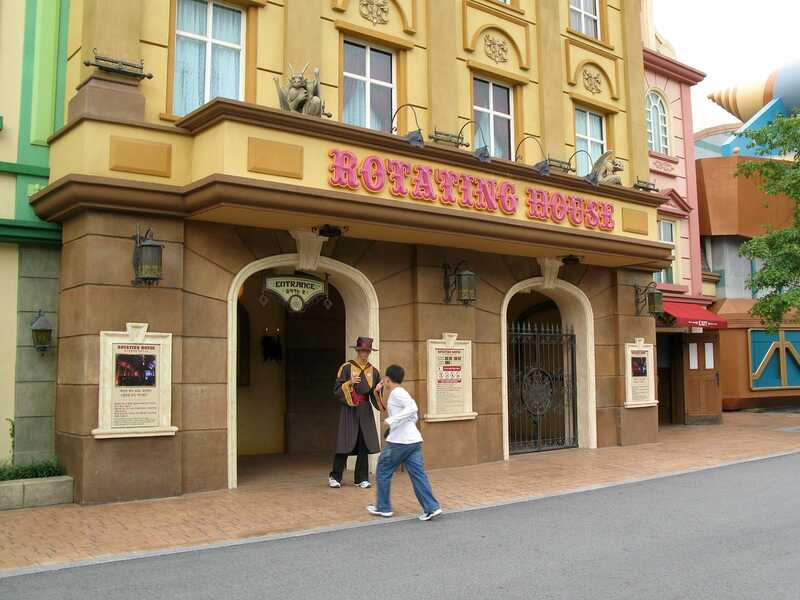 Intamin should have known better. If we leave the above out of the equation, the coaster itself is pretty good if not outstanding. The opening is a totally enclosed top hat element that is truly excellent, and an unexpected surprise for anyone on their first ride. Following that are some powerful and forceful helices. The water element to the ride, the "aqua" bit, doesn't actually have any effect at all that I could see other than a mild spray, though it was possible for the occasional rider to be soaked if someone else in their train reached into the water. One member of our group discovered this to her cost! There was nothing major on my ride list for this evening, but I did track down the two dark rides. The first one, Snow White, was off limits to me thanks to a posted height limit of 122cm (!! ); anyone ever seen a children only dark ride before? The other one, Fantasy Adventure, was headache-inducing colourful, with some very odd scenery presumably inspired while under the influence of psychotropic substances. The only other attraction I tried was Desperados, which I'd been told not to miss. It is, in summary, a shooting game where thirty riders shoot at a cinema screen. The person with the worst score gets shown on the big screen as a donkey. I was amused by the poster at the exit from the manufacturer advising potential customers that it wasn't too late for 2006... I think it probably is at this point.